When you think of growing your own food, you may think of a traditional garden with neat little rows or beds of single crops, but in many countries, the reality looks a lot different. For example, in many developing countries – especially those in warm climates – growing your own food may look more like a “forest” of various species of edible and fruiting plants mingled together. In fact, this method of gardening goes back thousands of years, although the term “food forest” is a more recent development. Food forests appear often in the permaculture movement, a modern approach to designing agricultural systems that mimic natural ecosystems. Food forests are perfect for the sustainable agriculture model as they are mainly self-sustaining – meaning no tilling, fertilizer, or irrigation are necessary. Interplanting deep-rooted crops such as trees and shrubs with smaller plants provides shade and protection while reducing the need for watering. This gardening method also helps to cycle soil nutrients and improve soil fertility. 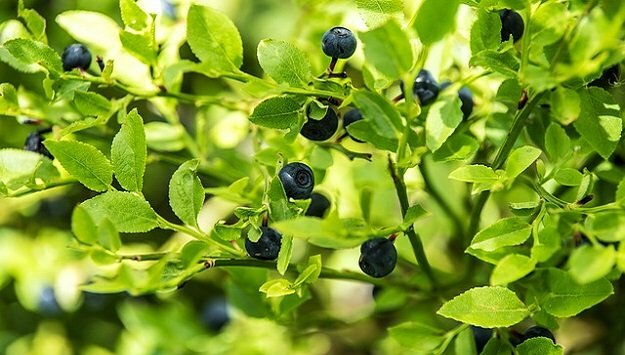 The first step in establishing a food forest is to choose your plants. The largest plants will reach into the sun, so most common fruiting trees and shrubs are fair game. The smaller plants generally need to be more shade tolerant, as they will be in the understory. But you can leave sunny patches here and there—like little forest clearings—to accommodate species that need more light (though see Step 3 for a trick to make the most of the available sunlight). Winter is the ideal time to get started, because most edible trees, shrubs, vines, and herbaceous plants can be purchased and planted while dormant, which is better for the plants—and for your bank account. That’s because at this time of year they are sold in “bare root” form—meaning without soil or a pot—which gives the roots a more natural structure and costs less for nurseries to produce. Bare root plants are typically ordered in January or February, for planting in early March, or as soon as the ground thaws in your area. Naturally, you’ll want to stick with species that are well-adapted to your region. When you’re ready to plant, simply brush aside the mulch and cut holes in the cardboard just big enough to dig a planting hole at the location of each plant. Then slide the mulch back around the newly installed plant. Maintaining a deep mulch is the key to preventing weeds, conserving soil moisture and boosting organic matter—all things that will help your food forest be self-maintaining and self-sufficient. Of course, truly shade tolerant plants may be interspersed throughout the understory of the forest garden. You might even consider cultivating mushrooms in the shadiest zones once the large trees have matured. Edible vines may be planted on any accessible fences, arbors, or walls, and you can also train vines up trees, just like Mother Nature does—just be sure the tree is significantly larger than the vine to avoid the tree getting smothered.